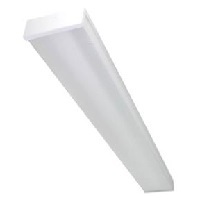 This lamp is part of the series LSU GEN3 Series for utility wraps. It has a low power consumption for this type of device. It mounts to the wall or ceiling and suitable for damp and indoor settings. Great locations for this product could be utility lighting, parking garage and stairwell lighting. It has 5 year warranty and DLC Premium 4.1 approved.